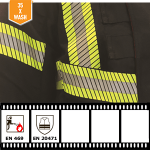 XM SilverLine™ designs and manufactures reflective tapes for High Visibility workwear, Protective clothing and Firefighters uniform. 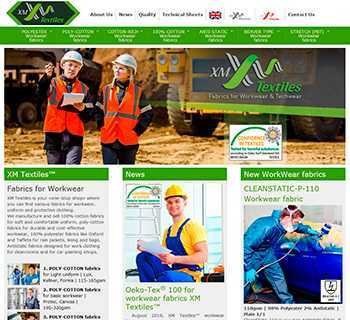 We have 15 years experience of work with reflective materials and sell them in 51 countries. 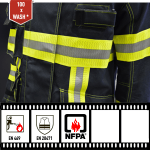 All our FR-tapes resist 50/100 wash cycles and certified to EN 469 and EN 20471. 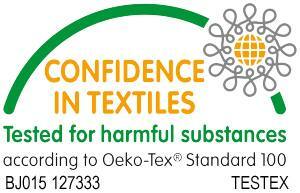 We test every production lot to deliver you 100% quality. Each glass bead works as follows: An incoming light beam refracts as it passes through the front surface of the glass bead and reflected off a mirrored surface behind the bead again. The beam then passes back through the front surface, and returns toward the light sources. 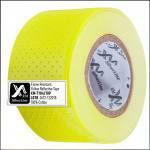 Reflective tapes using glass beads are more affordable. 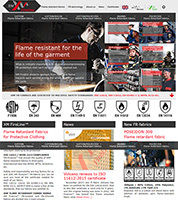 For a manufacturer in need of a large quantity of reflective tape to produce high visibility safety gear, glass bead technology is simpler to manufacturer – thus a reduced cost and less of a hit on inventory budget controls. 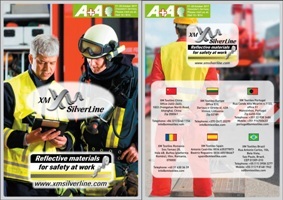 Engineer grade reflective starts with a carrier film that is metalized on the top. Glass beads are applied to this layer so that about 50 percent of the bead is embedded in the metalized layer. This gives the beads their reflective properties. Then a layer of either acrylic or polyester is applied over the top. This layer can be clear to made white reflective tape or it can be colored to create the different color reflective tapes. A layer of adhesive is then applied to the bottom of the tape and a release liner is applied to that layer. It is rolled up, slit to width and then sold. Note – an acrylic layered film will not stretch and a polyester layered film will. Because of the heat used in the manufacturing process engineer grade films end up being a single layer so they will not delaminate. 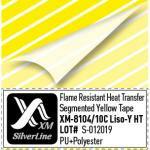 High intensity type 3 reflective tape is made in layers also. The first layer if one that has a grid built into it. Normally a honeycomb type pattern. This pattern is what will hold the glass beads so that they are in separate cells. The glass beads are bonded to the bottom of this cell then a layer of acrylic or polyester is applied over the top of the cell so that there is a small air space above the beads. (high index beads) This layer can be clear or a color. Then a layer of adhesive and a release liner are applied to the bottom of the tape. Note – an acrylic layered film will not stretch and a polyester layered film will. Although the layers in high intensity are bonded together, they can delaminate. Microprismatic Technology incorporates retro-reflective microscopic prisms formed on a polymeric film to create a bright reflective appearance on garments and accessories. Prismatic reflective tape is more efficient, returning about 80% of the light to the source as opposed to the 30% offered by glass bead designs. This makes prismatic reflective tape brighter. While the other type uses glass beads, this type of reflective tape uses man-made prisms designed with hard angle mirrors. Because of this, the light is more focused and can travel a much greater distance without dimming. The microprism’s economical use of surface area delivers a higher level of performance in all applications, which results in superior long distance visibility of the vehicle and greater awareness by the motoring public. Distance plays a crucial factor in the popularity of this tape. There are many long distance requirements by ANSI and DOT at distances of 1000 feet or more. 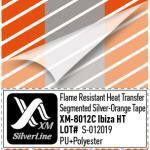 Metalized micro-prismatic reflective tape is made by first creating a prism array out of clear or colored acrylic or polyester (vinyl). This is the top layer. This layer provides reflectivity and returns light back to the source. A colored layer would return light back to the source but in a different color. This layer is metalized to enhance its reflectivity. Then a layer of adhesive is applied to the back and a release liner is applied. Because of the heat used in this process the layers of metalized prismatic will not delaminate. 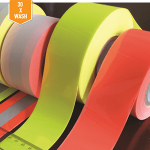 This is especially beneficial in applications such as vehicle graphics or any other application where the tape may be treated harshly. Reflexite invented prismatic reflective tape and their tapes do not delaminate. Much like metalized films, the first step in creating non metalized reflective films is to create the prism array out of acrylic or another clear resin. This will be the top layer of the film. It can be clear or colored. In order to create a whiter or a more vivid colored film, the prism layer is adhered to a grid that forms a sort of honeycomb pattern. This creates an air layer below the prisms. The surface below the air layer is white. The prism layer and the grid layer are bonded together but can come apart meaning that non metalized films can delaminate. By eliminating the metalizing of the prisms the tapes are more vivid since the color does not have to compete with the silver metalizing layer. Non metalized films are more vivid but not necessarily more reflective. The image below shows the 4 types of reflective films. All are made in a similar way. The glass bead engineer grade film is the easiest to make and thus the least expensive. The high intensity is the next easiest and next in price. The metalized micro-prismatic films are the most expensive to make but are the brightest and toughest of all the reflective tapes. 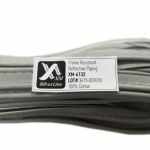 They are perfect for dynamic or harsh environments. The non metalized films are less expensive to make than metalized films. Non metalized films have the advantage of being more vivid in the daytime and are popular for sign sheeting and other static applications. 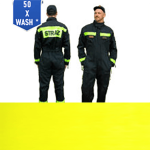 If you work under wet conditions, or experience a lot of abrasion in your job then chances are you’d be much better off using prismatic reflective material. If your primary objective is lightweight and durability and wet conditions are not an issue, you’re probably better off with glass beaded material. 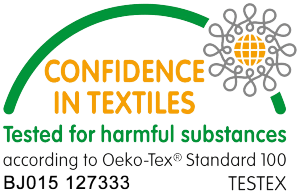 Before you choose which material you want to use, do a quick analysis of your use and then base your decision on the performance characteristics of the material.